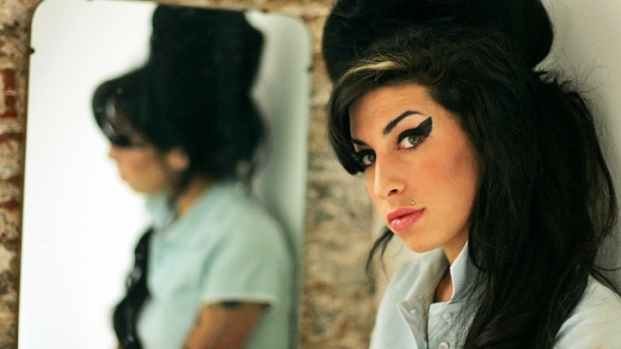 Amy Winehouse was found dead in her London apartment of unexplained causes on July 23, 2011. She was 27. Since authorities announced her passing Saturday, fans steadily gathered outside the Camden Square home of Amy Winehouse, leaving tributes and talismans in memorium. In addition, celebrities across the nation expressed deep and unresolved sadness at the loss of the soul singer. Winehouse, the British singer who immortalized her own alcohol and drug addiction in her hit "Rehab," was found dead in her home in north London on Saturday. She was 27. The Metropolitan Police confirmed that they had been called by the London Ambulance Services to the Camden apartment at about 4:05 p.m. local time and that there they had pronounced a 27-year-old woman dead. Winehouse died before two ambulance crews reached the scene, according to London Ambulance Services. The cause of her death was not immediately known, but her record label, Universal, confirmed that she had died. With her distinctive beehive hairdo, cat-eye eyeliner and a dramatic and throaty yet vulnerable singing style, Winehouse captivated listeners in 2007 with her "Back to Black" album. At the time, Spin magazine dubbed her "the dangerous new queen of soul" for her seductive combination of '60s-style soul, doo-wop, jazz and funk. But before long, Winehouse's wide range of addictions, spanning from chain smoking to crack cocaine, and her tumultuous private life threatened to overshadow her platinum status and her critical acclaim. Still, "Back to Black" went on to win five Grammys in 2008 and devotion from countless fans who said her music captured feeling in a way no other artist's had in a long time. "You can hear the torment in her voice," the Roots' ?uestlove told The Washington Post. "Clearly you can see this person is living the blues." Winehouse began her career when she was just 10 with a rap group called Sweet 'n' Sour and in 2003 released her debut album, "Frank." Although not released in the U.S. at the time, it performed well in England. She then went on hiatus for a few years before returning in 2006 with the hit-laden "Back to Black" and a U.S. tour. While the singer promised a third album in 2010, one was never released. In May, she punctuated her years-long substance abuse battle with a stint in rehab in preparation for a European tour. But what would have been a comeback tour was abruptly cancelled last month after a show in Serbia devolved into intoxicated slurring and stumbles. Until her death Saturday, Winehouse had been lying low in a recovery attempt following the end of the tour. 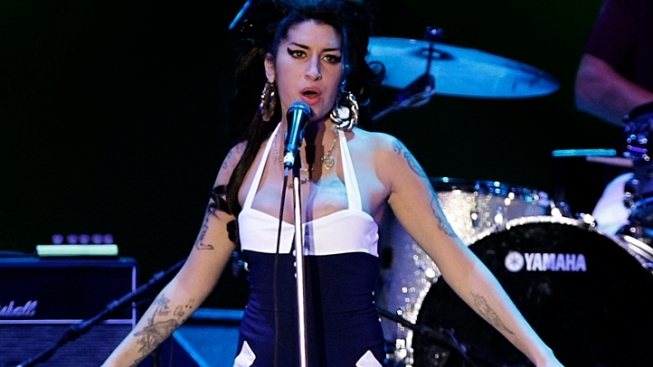 In a statement Sunday, Winehouse's family said they have been "left bereft" by her death. "She leaves a gaping hole in our lives," her family said. "We are coming together to remember her and we would appreciate some privacy and space at this terrible time." She is survived by her mother Janis, father Mitch, and brother Alex. The singer was very close with her father, who was credited with prompting her return to rehab this year. According to the Daily Mail, he was on a plane bound for New York at the time of her death. Amy Winehouse's friends and admirers took to Twitter after the news broke Saturday to share their grief and condolences. Actress and singer Kelly Osbourne wrote, "I just lost 1 of my best friends. I love you forever Amy & will never forget the real you!"